Instantly Get Rid of Duplicates and Recover Storage Space! 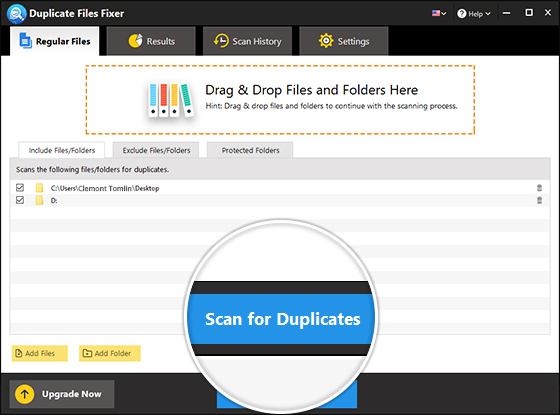 Download Duplicate Files Fixer to effortlessly retrieve precious storage space. 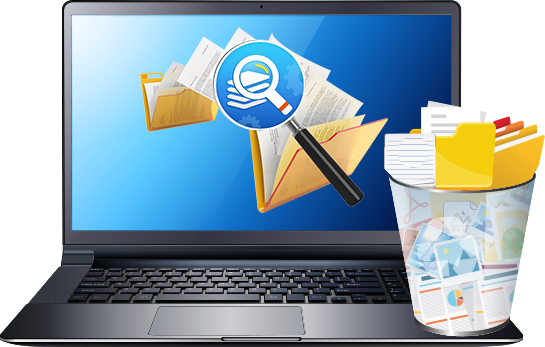 Get rid of all identical files that unnecessarily occupy space on your system and organize all your files more efficiently. Now download and copy as many files as you want and let Duplicate Files Fixer take care of the identical copies clog system storage! A tool designed to find and delete duplicate files effortlessly! Why do you need Duplicate Files Fixer? Say goodbye to space hogging duplicates and retrieve precious storage space! Over time, your system hoards many duplicate files that not only occupy valuable storage space, but also impact performance. 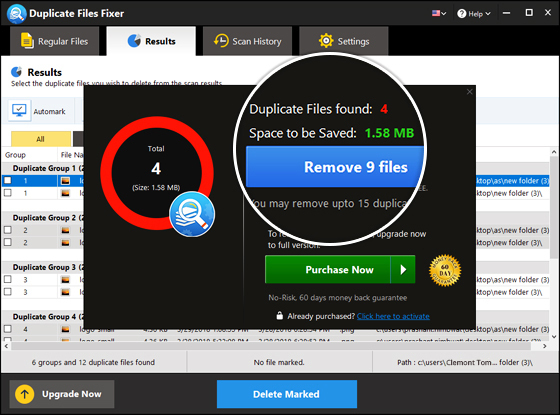 Duplicate Files Fixer is an easy-to-use tool that quickly finds and deletes all identical files that you don't need! Choosing files and folders to search for duplicates cannot get easier than this. Get rid of the tedious manual process of choosing duplicate files. 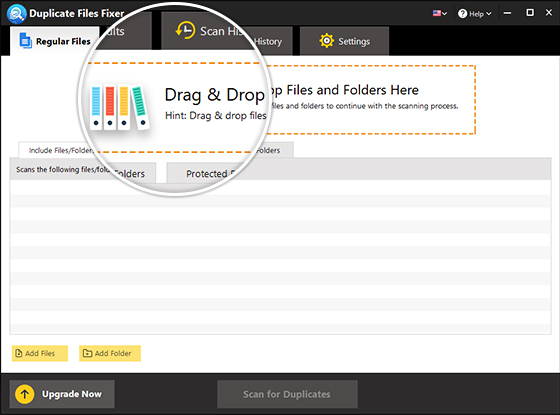 Now just drag and drop as many number of files and folders you want to scan for duplicates. Quick and hassle free, use this feature to save time and effort! Worried about deleting the wrong files? 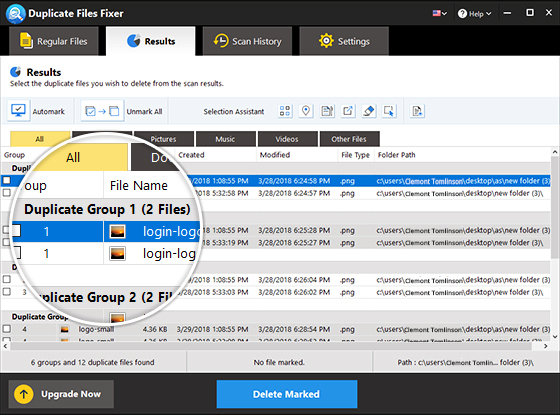 Preview all the identical files that have been scanned by Duplicate Files Fixer before choosing the ones you want to keep and the ones that you want to delete! This also keeps you from accidentally deleting anything important for secure cleaning. No time to sift through each scanned duplicate? Use Automark function to quickly select all the identical files and get rid of them instantly. You can always choose to exclude files you don’t want to delete. Just un-mark the selected file and it will be not be deleted. We don’t realize the excessive space that duplicate files take up on our system. Increased number of files also deteriorate system performance. 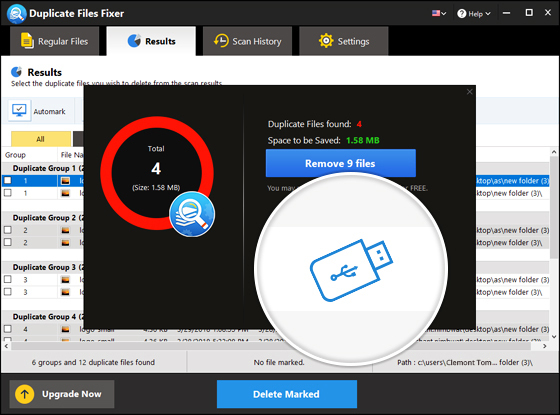 Duplicate Files Fixer helps retrieve precious storage space and significantly simplifies the task of removing useless duplicate files. Duplicate Files Fixer is not only restricted to your system. Now you can create ample space in your external storage devices like hard disks in no time at all. Just plug in the external storage device and get rid of more than one instance of the same file. 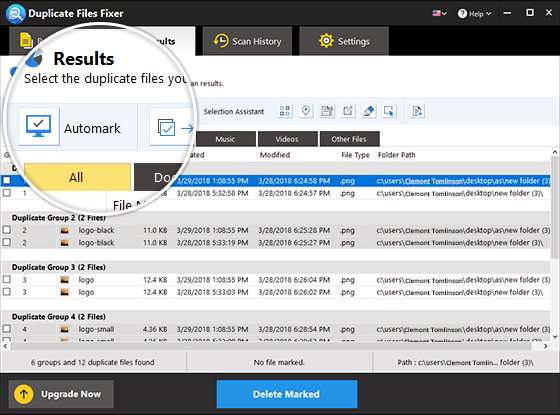 Scanning for duplicate files couldn’t get easier! 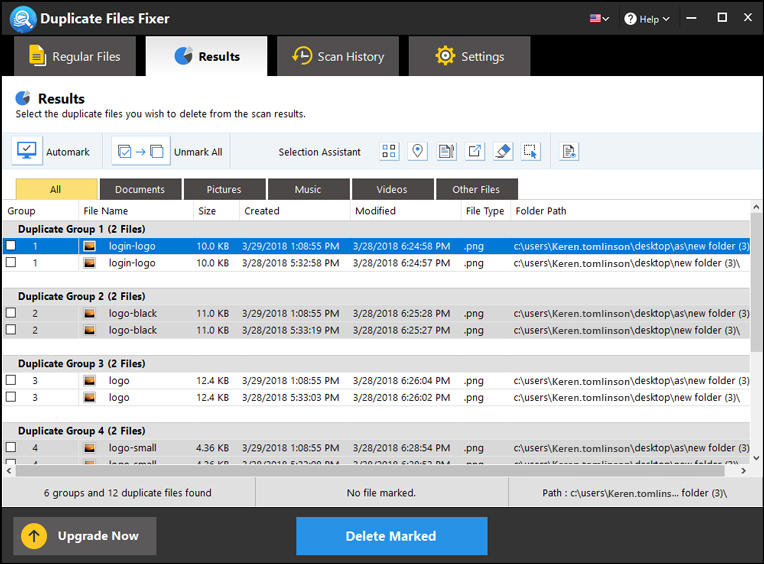 Be it ten or thousands of files, Duplicate Files Fixer can scan all of them in a matter of seconds! You get to decide which files or folders the tool should scan for duplicates. Just one click to save your valuable time and efforts! It's a great little app to have. It scans, finds and then presents the duplicate files to you for your decision. But what's really great is, it gives you a chance to backup your files before you delete them. It's a great tool to have. Great app. Very useful and easy to use. Does exactly what it is supposed to do including easily deleting duplicate files in the external memory, which other apps fail to have done, at least not as simply as in this app. Very recommended app. Wonderful. No ads. I got a cheap phone with many lags and glitches but with Systweak I have noticed a considerable change. Much more stable and fluid. Thank you for not inflecting my apps with constant ads before opening. 1. How are duplicate files created on my system? Over time as you download and copy files on your system, multiple copies of the same file are created. 2. 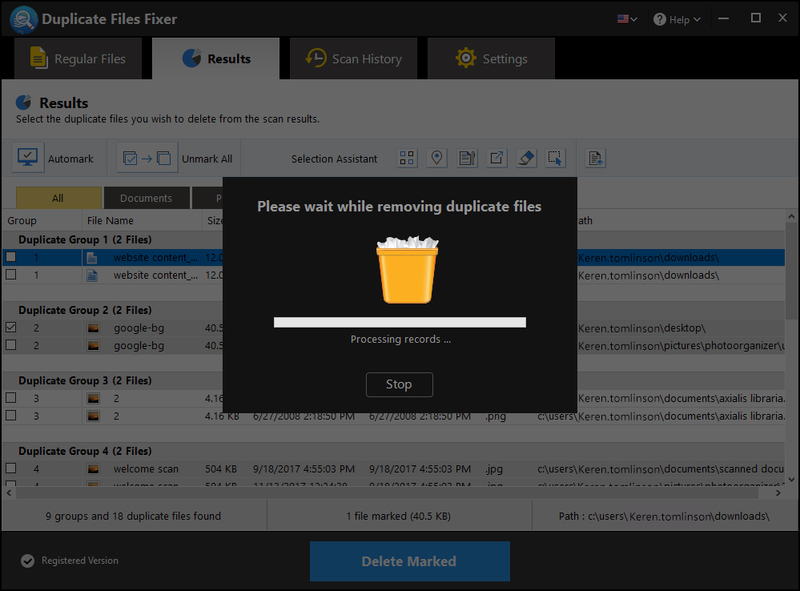 Can Duplicate Files Fixer detect all file formats? 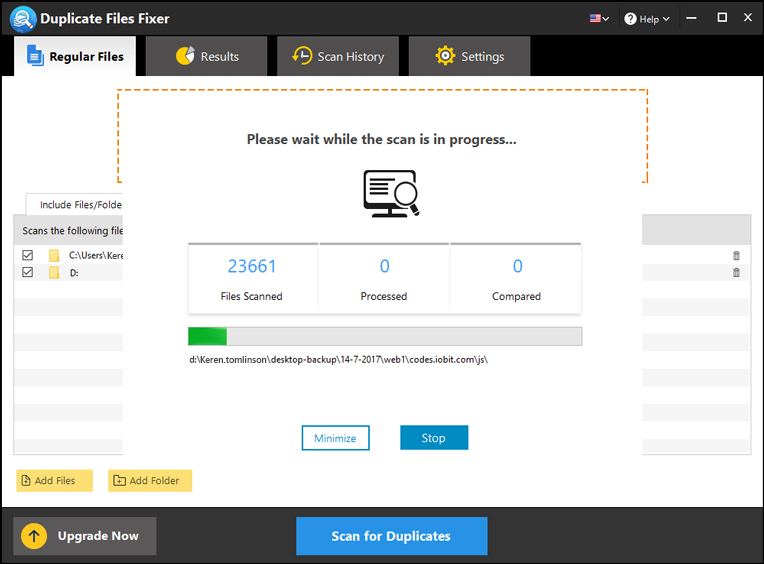 Duplicate Files Fixer can scan and detect most of the popular file formats easily and quickly including documents, video, audio, image and zipped files. 3. Is it possible to delete duplicate files manually? Yes! However, it is a cumbersome and time taking task to manually look out for all duplicate files on your system. The same can be done by a duplicate file removing software in a matter of minutes. 4. Can I scan for duplicate files in specific folders? Yes! 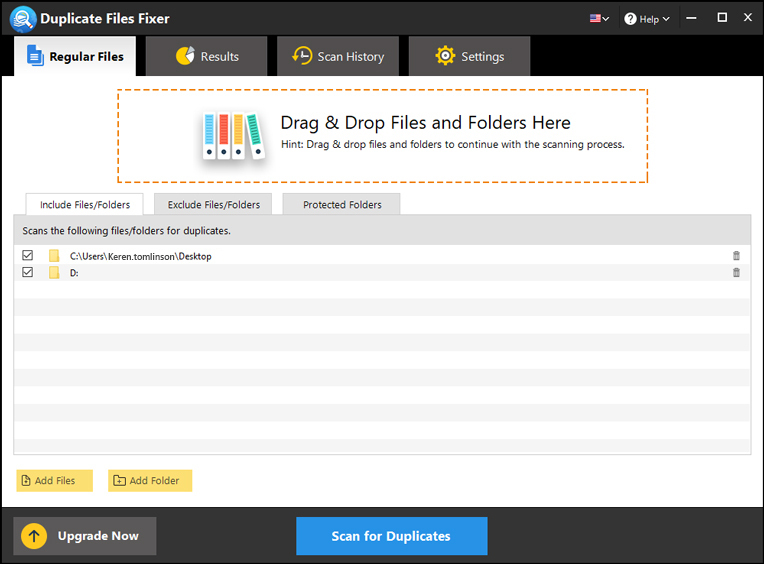 Duplicate Files Fixer gives you the option to choose specific files and folders that you wish to scan. For any folder you want excluded from scan, just add them to exclusion list and you’re all set. 5. How will Duplicate Files Fixer impact my system? Apart from getting rid of duplicate files and recovering considerable storage space, and in turn improve system speed as well by freeing up junk. 6. What if I accidentally delete an important file? Duplicate Files Fixer doesn’t permanently delete anything from your system. It sends deleted files to Recycle Bin or Trash folder for easy recovery. You can also change the location where deleted duplicates are moved, so you never lose anything by accident. Copyright © Systweak Software , 1999-2019 All rights reserved.